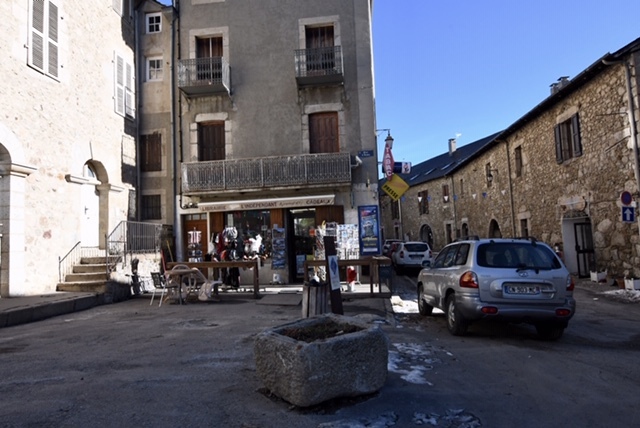 I had discovered on the map a small country, situated inland and sandwiched between France and Spain, and just over 300kms from Montpellier. 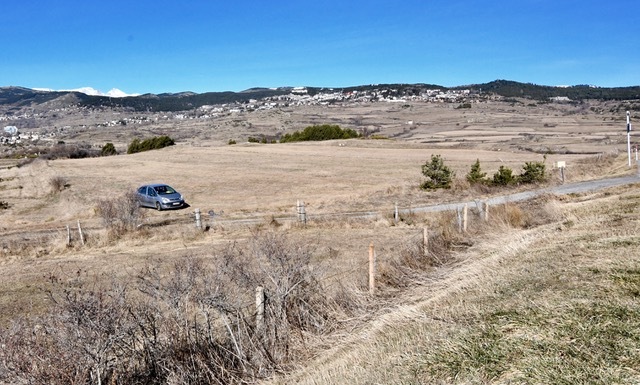 After dropping Sylvia off at the Royal Canin Headquarters, where the roads still have burn patches in them from the yellow-jackets protests, I headed south down the A9 to Perpignan, then headed west up a long valley past lake Lac de Vinca. 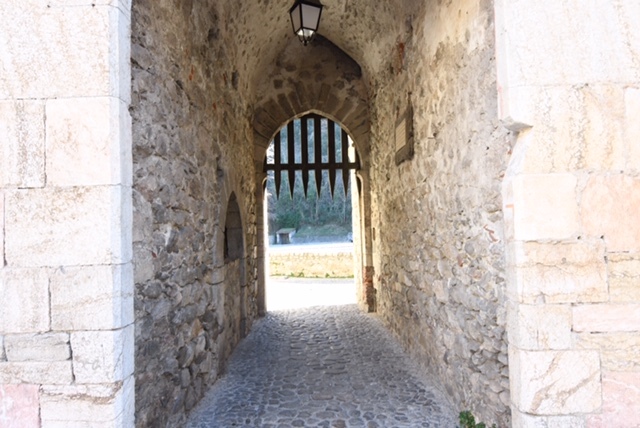 Along the way, as is common in this part of the world, are many fortress-type towns with walls and butresses, from the days of marauding villains. 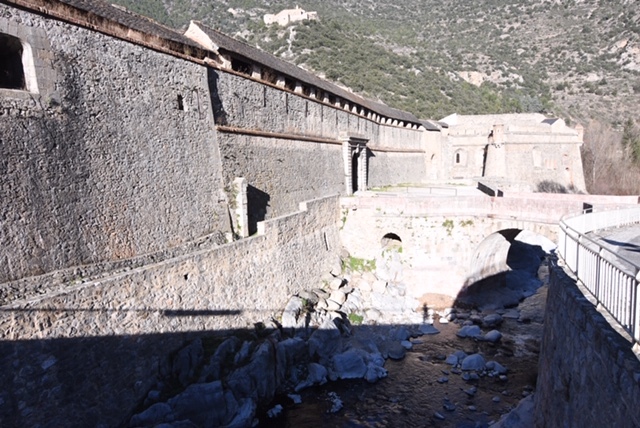 I stopped at Villefranche-de-Conflent and discovered a functioning town behind the walls, church included. 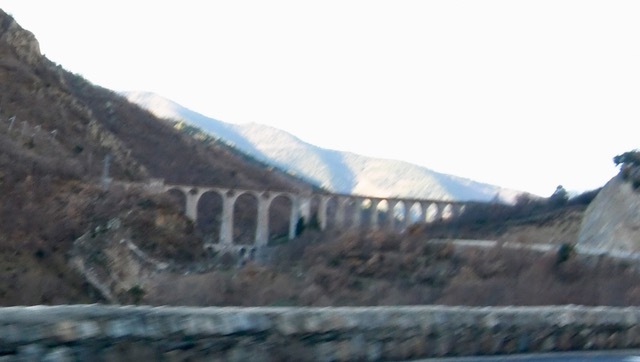 The road headed up into higher country passing a stone rail viaduct and the fortress village of Mont-Louis with great views of the surrounding countryside. 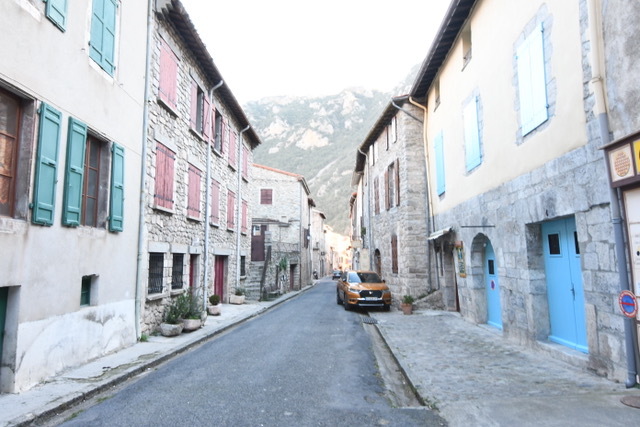 There are lots of villages, almost stacked on the hillsides, with the road often squeezed between buildings. 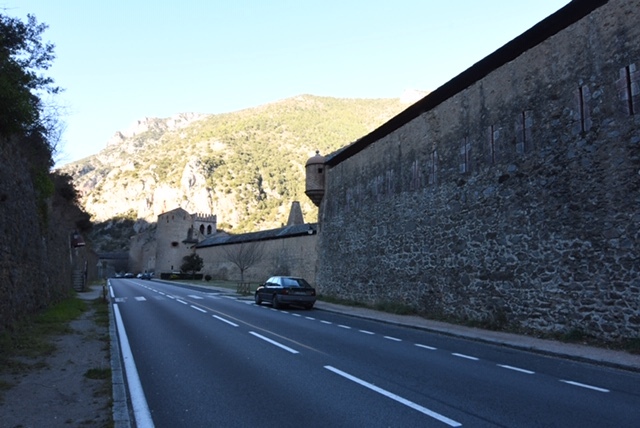 Finally, having crossed into Spain, I arrived at the Andorra border with its guard posts and guard boxes stacked with serious guards. I stopped ready to hand over my passport; the guy in the box didn’t even look up and waved me on. 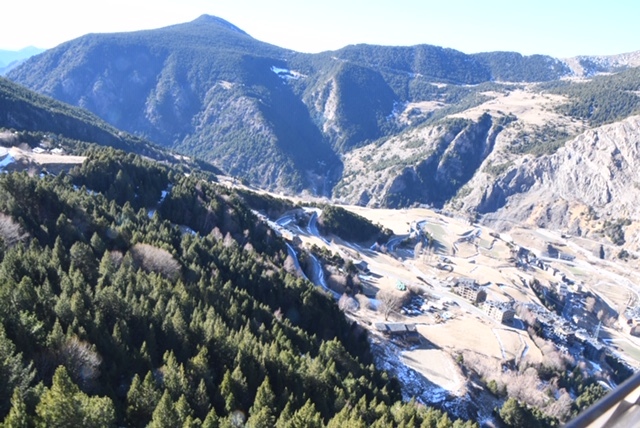 A little about Andorra the principality: Created by Charlemagne it was eventually ruled by the Count of Urgell until 988 when it was transferred to the Catholic Diocese of Urgell with the present Principallity being formed by charter in 1278. It is now headed by two Co-princes, one the catholic bishop of Urgell in Catalonia Spain and the other the President of France. The official language is Catalan but they also speak French and Spanish. At 468 square kilometres and with a population of 77,000 people I was interested to see how it works. 10.2 million tourists per year, duty free and tax haven status keeps the place going. I had headed in at the southeast side and headed out the northeast. Basically its a 45 km long valley with thousands of apartments and hotels stacked on each side of the road. 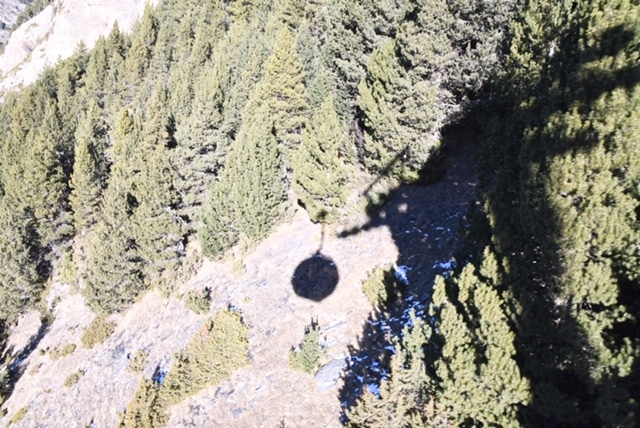 I stopped at Canillo and hopped on a cable car, which took me up to Roc de les Bruises ski field, arriving at the field, which had more ski tows than I could count running up all parts of the surrounding mountains. It was a beautiful day and due to a snow shortage the place was pretty quiet. I enjoyed lunch at one of the restaurants sitting on a deck overlooking the valley below. All the staff I interacted with were not from Andorra. Back on the road it did not take too long to hit the border where I entered a tunnel taking me back to France. The road wound its way through a valley, eventually arriving at what appeared to be the entrance to a toll road. There was a policeman standing by the booth with, I think, a stop sign. I wound down the window, he said something in French and I gave him a polite bonjour, then the don’t speak French spiel. “Where are you from?” I think he said. “New Zealand” I replied. He looked somewhat surprised but his English was as good as my French. I noticed a car being tipped out in the car park so indicated I would pull over there. He nodded and I did. An English speaking guy came over and asked me where I was from. “New Zealand” I said. He said “you have come from there today?”. 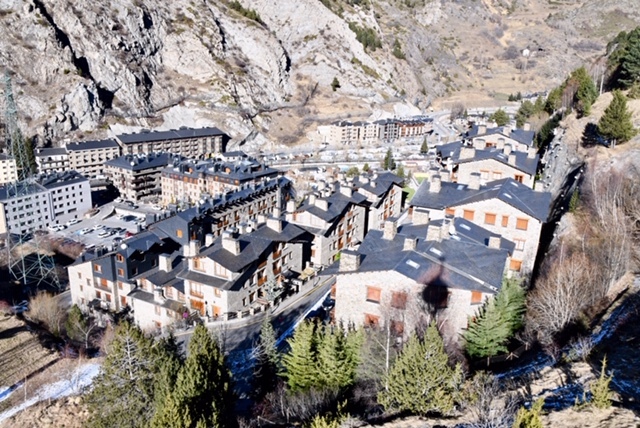 “No, from Montpellier.” “Have you been to Andorra today?” “Yes!” “Did you buy anything?” “No!” And off I went. It appears they were looking for people bringing tax free stuff into France. The drive back to Montpellier was a long one but the 800km plus trip was well worth it. Very interesting. 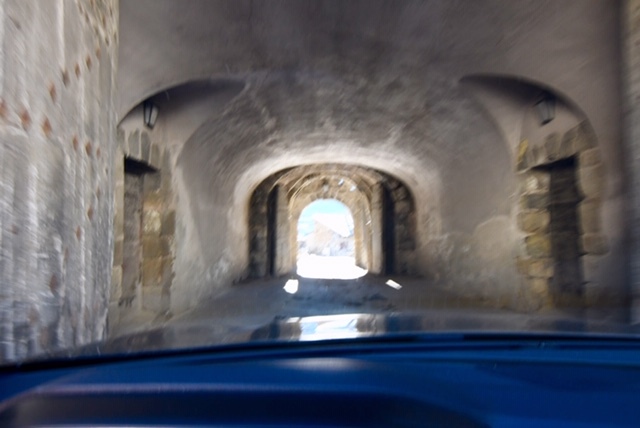 I drove through Andorra in the mid-60s. Doesn’t sound like its changed much. Apart from the chairlift. Wonderful trip, Roger. You are quite an explorer. Look after yourself and say hello to Sylvia. Sounds absolutely amazing Roger, what a beautiful little place, I am green with envy.